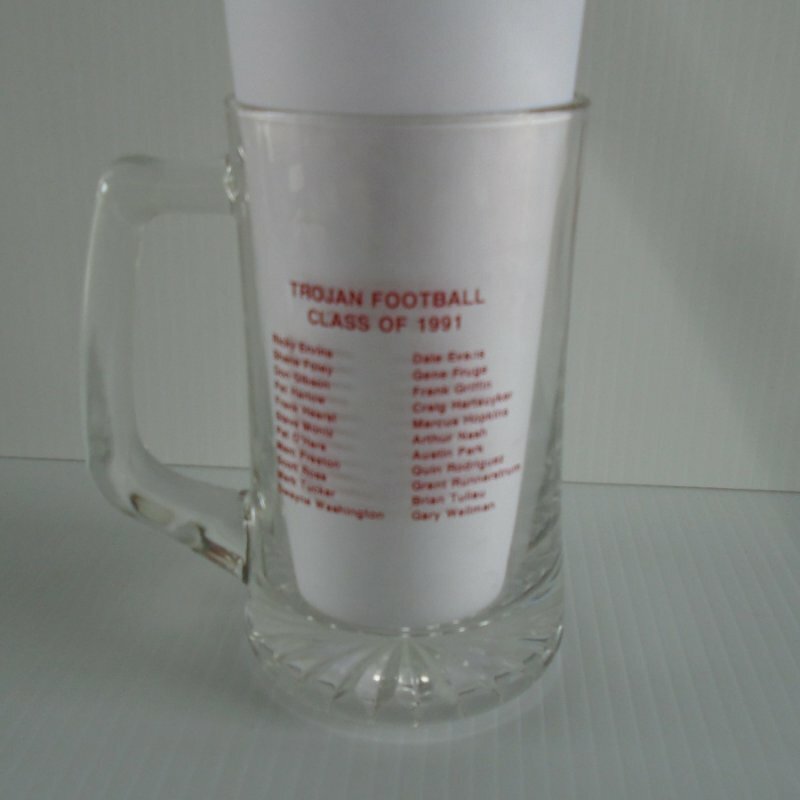 Offering a set of 2 thick glass beer mugs honoring the 1991 USC Trojans football team. The mug stands almost 5.5 inches tall and measures 3 inches across the top. What's also interesting is that one side honors the 1991 football team with each of the main player's names, and the other side honors the sport of boxing. Additional photos of each side and graphics are included below. A great gift for the Trojan graduate or family member of a player mentioned above. Buyer to pay USPS Priority Mail delivery charges of $10.95. Shipping is from Arizona. To complicate this even further, Google will not show items for sale unless they have a designated cost, or unless the seller uses calculated shipping. My web host is not equipped to figure calculated shipping, so I have to quote a shipping charge using the east coast as the final destination and then refund over payments. 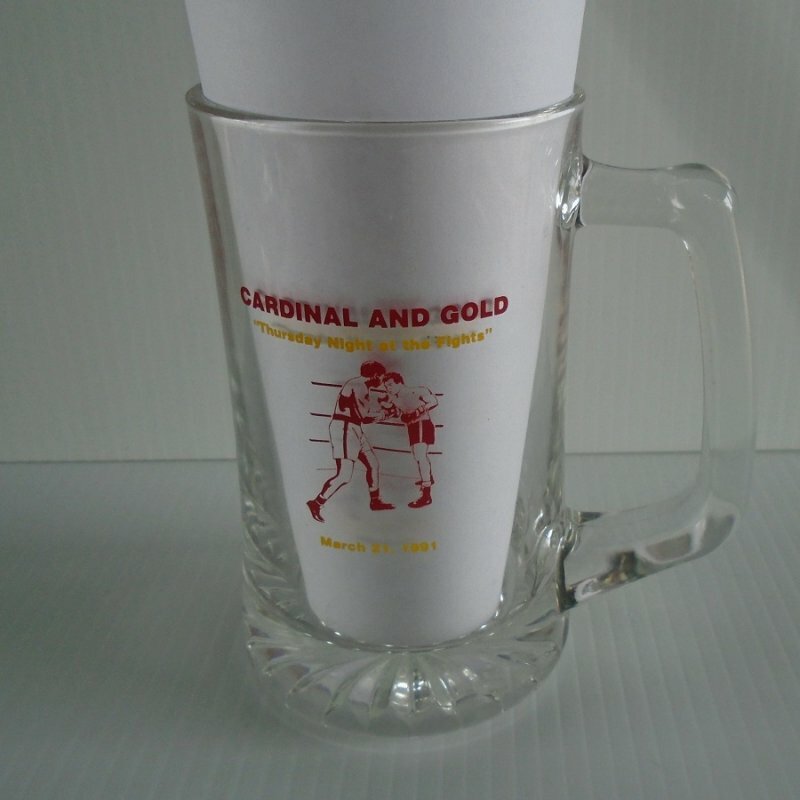 USC University of Southern California beer mug. 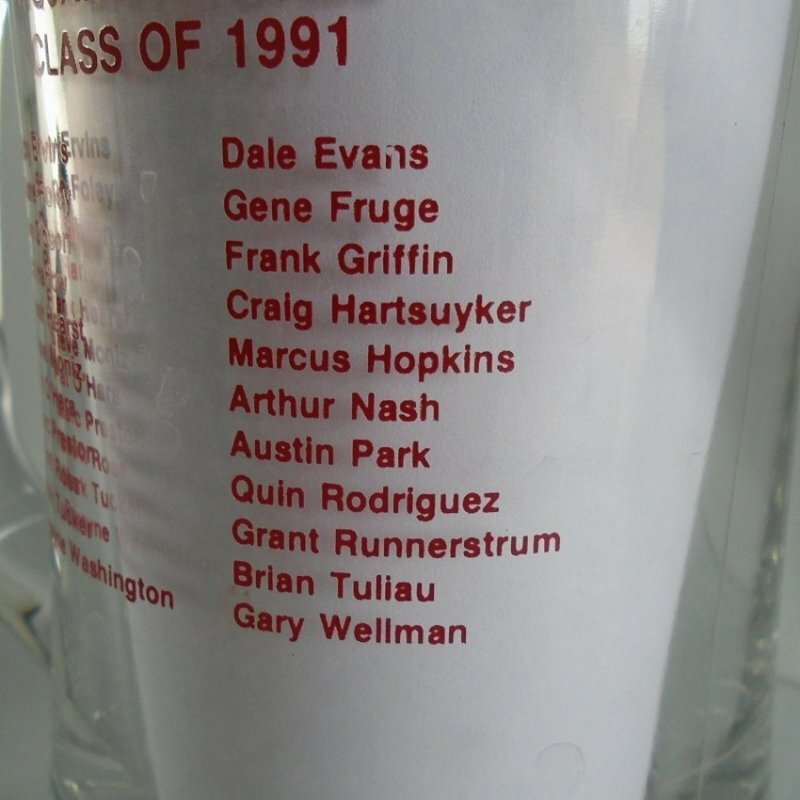 Honors 1991 football team with names of major players. USC University of Southern California beer mug. 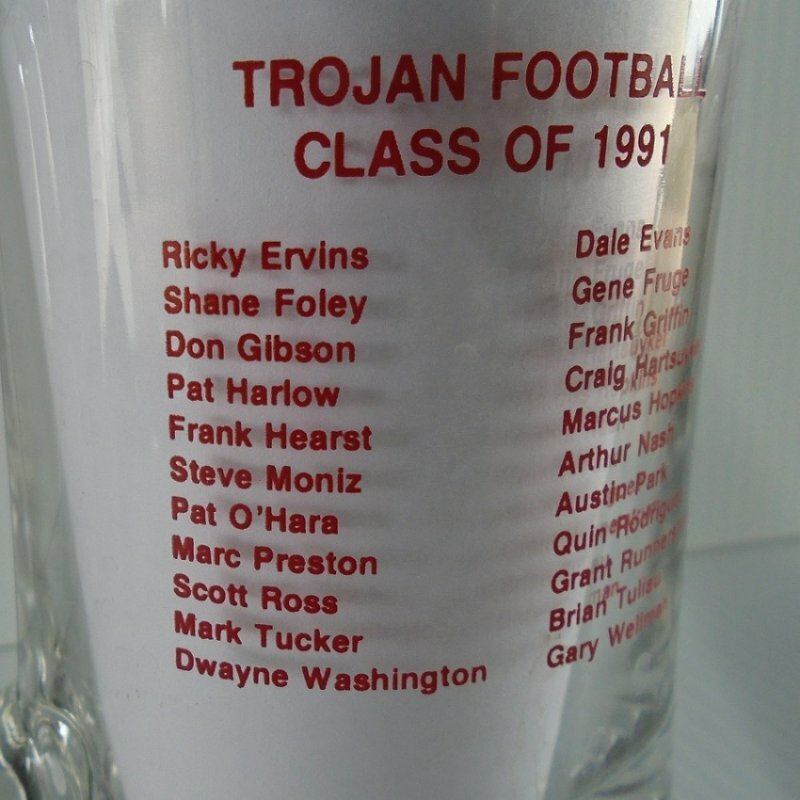 One side honors 1991 football team with names of major players, other side honors boxing.